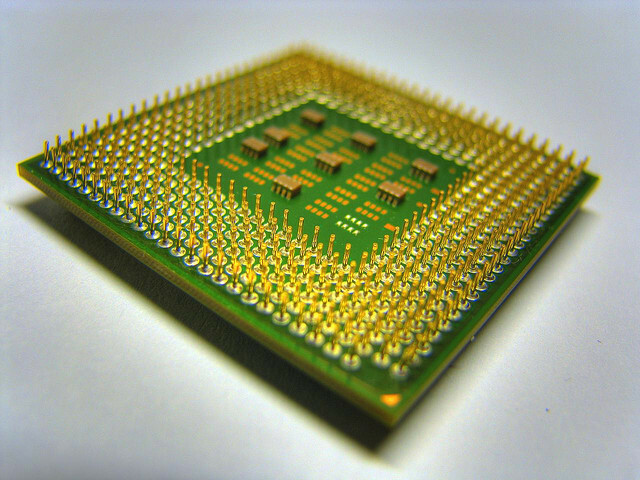 Moore’s Law, named after the Intel co-founder Gordon E. Moore, says that the number of transistors on integrated circuits doubles every two years. Put more simply, computer processing power doubles every two years. Moore noted the trend in 1965 and it has held true ever since then. A super-computer which decades ago took up the size of a room can now fit in your pocket and carry out many more functions than that super-computer could. Moore originally predicted that this trend would only hold true for about ten years and in a sense he was right. Because computer processing power has been increasing at an exponential rate, the number of transistors on a circuit board now doubles every 18 months, instead of every 24 months. But if computing power keeps increasing in this way, and computers become increasingly smaller, what will computers be like in the far future? Is this something we can even imagine? Many futurists have tried to. Ray Kurzweil is the most prominent futurist looking at these kinds of questions. Books such as The Singularity is Near, The Age of Spiritual Machines and his more recent How to Create a Mind, focus on artificial intelligence, transhumanism and the technological singularity. Today’s smart-phones can carry out more functions than the room-sized supercomputers from decades ago. What will computers be like in the far future? Transhumanism is a movement which supports the idea of improving people’s physical, intellectual and psychological abilities through new technologies. Prosthetic limbs would be an example of a posthuman technology; however in the future such technology could be used to make everyone faster and stronger. Back in 1923, the geneticist J.B.S. Haldane in an essay titled Daedalus: Science and the Future, predicted that many benefits would come from applying advances in technology to human biology. As the interaction between humans and machines becomes more mingled and symbiotic, some might say that this interaction is too “unnatural” and therefore wrong. But as Haldane points out, this criticism fades away as soon as the benefits of this interaction are realised. Julian Huxley (brother of Aldous Huxley) appears to be the first person to use the term transhuman and defined it as that state where a person transcends themselves and realises new potentials of their human nature. The technological singularity is the point at which a super-intelligence will emerge through the evolution of machines. Since we cannot comprehend what this kind of intelligence will be like, we cannot predict events beyond this point. In the same way we cannot predict the events that happen in the singularity of a black hole – space-time curves to become infinite and the theory of general relativity completely breaks down. The term “singularity” was first used in this technological context by the mathematician John von Neumann in the 1950s. He argued that after the singularity human nature and human behaviour would be changed forever. If the exponential growth of technology carries on as it is, assuming we don’t blow the planet up, then there will come a point when we will see more change in a minute than we have in the past 1,000 years. So there must come a point when we cannot predict what will happen next in technology; the changes will just be too quick. 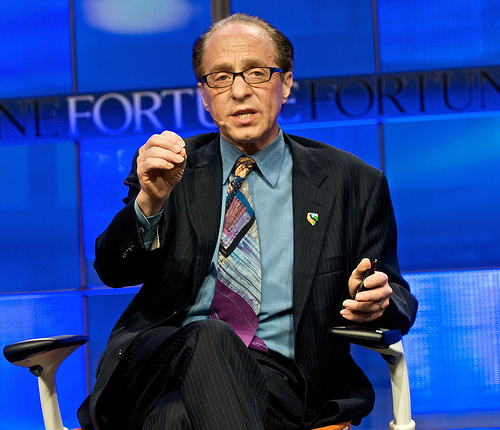 Kurzweil is notorious for making many accurate predictions on how technology will progress. In his first book The Age of Intelligent Machines, he argued that by the year 2000 a computer will be able to beat the best player of chess in the world. In 1997, the IBM computer Deep Blue beat the world champion Gary Kasparov. Even more impressive than this was Kurzweil’s prediction that internet use would explode after the 90s, which happened. Kurzweil has said that the technological singularity will occur around 2045, whereas science fiction writer Victor Venge placed it earlier at around 2030. Since Kurzweil has a good track record of making successful predictions, if the singularity does happen, a good bet is that it will occur around Kurzweil’s date. Terence McKenna also believed in this technological singularity, however he thought the date of the singularity was encoded in the ancient Chinese text, the I Ching. Along with the predictions laid out in the Mayan calendar, McKenna claimed the singularity would occur in 2012. So clearly he was off by a good few decades. McKenna also described the singularity as being “extra-dimensional” and that we should use drugs such as DMT to prepare us for this event, since the DMT realm is also beyond the normal 3 dimensions of space and 1 dimension of time. This is a pretty controversial idea and it seems like it’s far less grounded than the predictions of Kurzweil and other futurists. Kurzweil, who has a good track record of making successful predictions, believes that the technological singularity will occur around 2045. Some writers have warned about the possible dangers of this coming singularity. In the book Global Catastrophic Risks, edited by philosopher Nick Bostrom, different scenarios are given to how super-intelligent machines could destroy us. 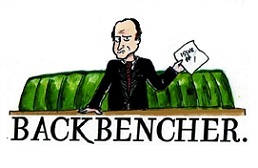 They are far more serious and catastrophic than the scenario in I, Robot where the machines turn against us – we can always get Will Smith to defeat them. Bostrom offers a scenario of an AI which has been programmed to produce paper clips and decides to turn the whole planet into a paper clip manufacturing facility, which would obviously destroy us. There is no reason why AI in the future would be friendly to humans; they will act however they are programmed to act and we may not be able to predict the dangerous, logical consequences of that programming. Bostrom imagines another scenario where a super-intelligent machine is given the goal of solving a mathematical problem. It then follows this goal by turning all the matter in the solar system into a giant calculating device, which in turn would destroy us. So there are clearly some big risks that need to be taken into consideration. The idea of a super-intelligence also creates some philosophical problems: Can you, for example, program consciousness, a sense of self, emotions and morality? If neuroscience reveals that the brain is like a computer, then maybe we can do better to answer these questions. At the moment AI can only understand syntax (the structure of sentences) but not semantics (the meaning of sentences). But this may change in the near future. So what events are leading up to the singularity? According to Kurzweil in The Singularity is Near, there will be quite a few distinct stages. By 2015, robots will be cleaning our house and by 2018 a computer’s memory will be as spacious as a human brain. Then when the 2020s arrive, some monumental changes will be going on. Nanotechnology will be thriving, where nanobots and nanomachines will be used in medical science to overcome biological limitations, such as disease, and maybe even death! These nanobots could be present in us at all times, being able to maintain and repair organs and cells throughout our body. K Eric. Drexler made a similar prediction in his book Engines of Creation: The Coming Era of Nanotechnology. During the late 2020s, virtual reality will be so well developed that it will be indistinguishable from real reality. Kurzweil also claims that in this same decade computers will be as intelligent as humans. In the 2030s “mind uploading” will become possible, where you can actually upload yourself onto a computer and live out your life on the Web. Nanomachines could also be inserted directly into the brain, creating a constant virtual reality for us with no need for the external world. If all humans have these nanobots in their brains, wireless networks could be set up which would allow humans to communicate with each other telepathically. So in 20 years we could end up sitting on a couch, not speaking or moving, but living our lives in an inner, virtual world. This could be a happy or a depressing scenario depending on how you look at it. It bears some similarity to Huxley’s vision of the future in Brave New World. Kurzweil predicts that before the singularity, in the early 2040s all of us will be fully immersed in a virtual reality world. Whether Kurzweil’s predictions turn out to be true depends on whether intelligence can be artificially created and whether trends, such as Moore’s law, will continue for the coming decades.